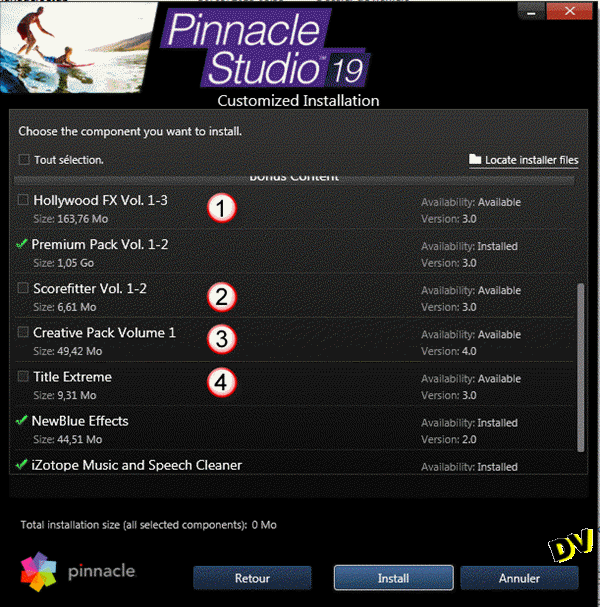 This tutorial gives step by step instructions on how to install a downloaded version of Pinnacle Studio 19 to your computer. If you install from a DVD boxed version, the process is quite similar except that you have nothing to download, everything being available on the DVD. 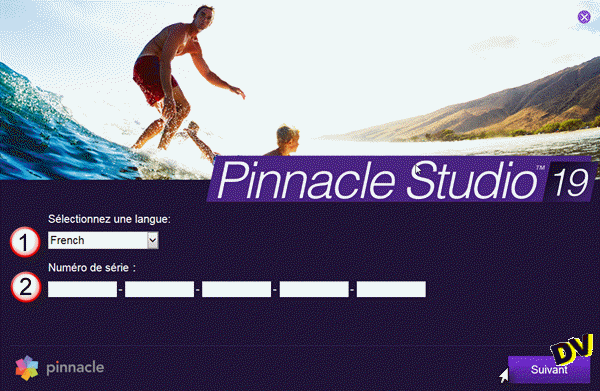 For Pinnacle Studio 19 and Pinnacle Studio 19 PLUS, the process is similar. Compared to previous versions, the installer can perform, if you wish, downloading and installing the software practically without your intervention. We will see all this in detail. Step 1 : Which Version to Choose? Choose the full version or upgrade version. Select download or boxed version. Note that even the boxed version no longer contains a printed user manual. If you have decided, click the Buy Now button. Note that the software has a 30 day money back guarantee and there is no longer a trial version. Entering the serial number (5 sets each of 5 capital letters). You will have to read the License Agreement (EULA). Obviously, to install the software, you must accept the EULA. So to continue the installation, click the Accept button. And we come to the end of your work. The installer has detected a 64 bit system and has selected the 64-bit version for downloading. An important point ... By default, the installer offers to install the downloaded files folder on your desktop. If you want to have a clean desktop and not overload your system disk, put the files directly to another internal drive. 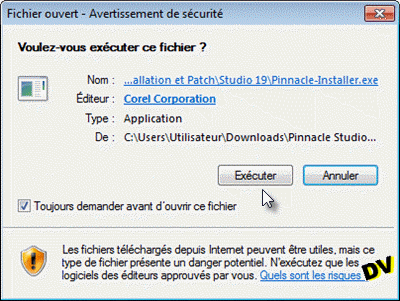 You can download and install at the same time allowing the installer to proceed by itself. The main program is downloaded. The Pause button may possibly be active when you return ... After the break, the download will resume where you left off. The Standard Content is downloaded. The main program is installed. The Bonus Content is downloaded. Preparing the installation of Standard Content. 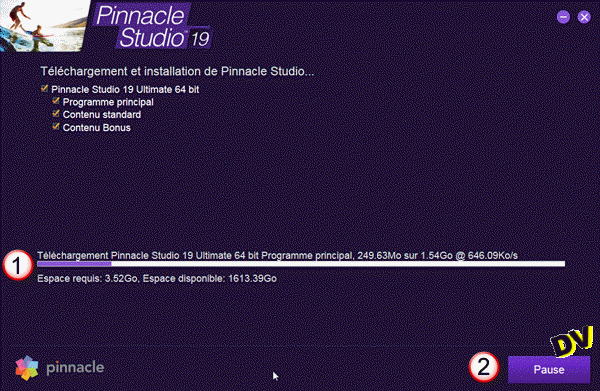 It remains only to click on the Finish button and launch Studio 19 from the icon placed on your desktop. 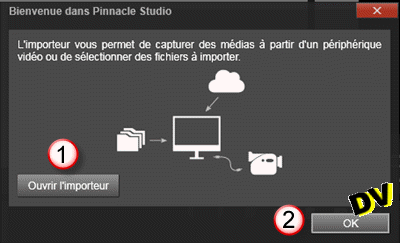 When Studio is opened, you will be prompted to register your software. Complete the required fields. The serial number will be filled automatically. If you have registered your software, you are now eligible for support (limited to installation issues). Offers to open the importer. Or click OK to close this window if you are already familiar with the software so you can start discovering what's new after waiting for the library initialization. The main program, Standard Content and Bonus content will download. The Pause button is there if you need it. After the pause, the download will resume where you left off. A notice that the three packages are ready to be installed. 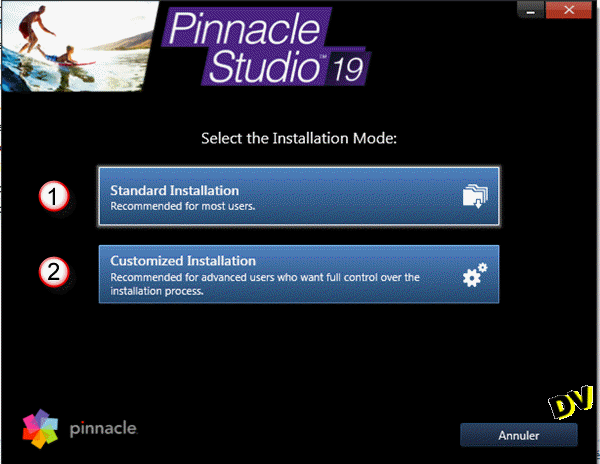 If you prefer to control the installation process via the old method (see tutorial "How to install Pinnacle Studio 18 ULTIMATE") you can close the window shown above instead of clicking the Install button. Go to the downloaded files folder in the 64bit sub-folder and run the Welcome.exe file. 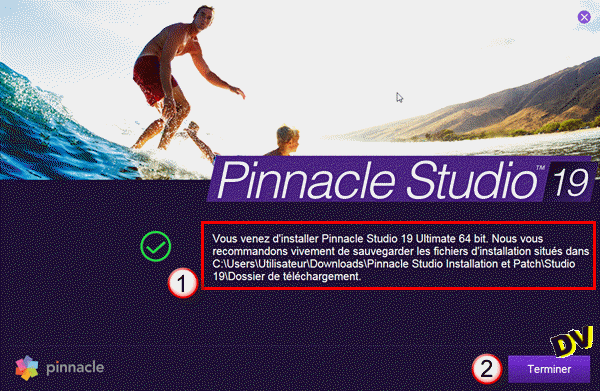 You will then have access to the Pinnacle Studio 19 installation mode selection window and you can install it as described in the tutorial "How to install Pinnacle Studio 18 ULTIMATE". In several installs/uninstalls, I had some small installation problems that were not deal breakers. The only recurring issue concerns the absence of parts of the Bonus Content while using the new fully automated installation process. To recover the missing content, simply run the executable program Welcome.exe located in the downloaded files folder in the 64bit sub-folder. Select the Customized Installation item and check the box select all (top of the list). 3 HFX volumes will be set to 100%. The Scoreffiter Vol. 1-2 were already installed despite being unchecked. The Creative Pack Volume 1 settles in 100%. Title Extreme settles in 100%. In a few minutes the Bonus Content was finished installing. Remember to reset the library for the new content to appear in Studio. (Set / Control Panel / Reset / reset button and restart Studio). where are my plugins of prodad? It is necessary reinstall the 64-bit versions. Look at this news. @ Honorius : Read the Readme.rtf file. 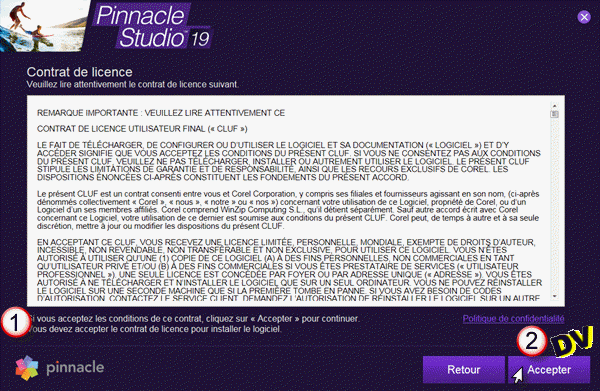 You authorize the software again with the key you received with Studio 17. I have several versions of Studio on my computer, including the Avid and 17, 18. 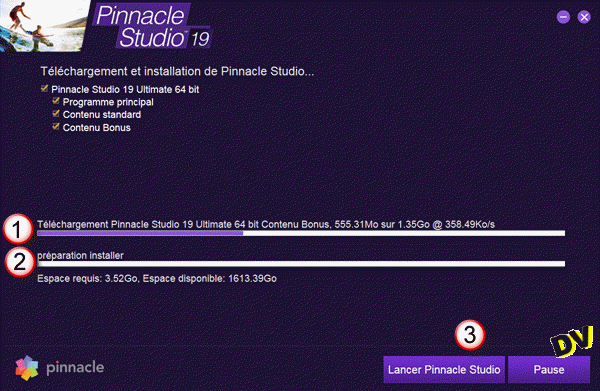 I purchased 19 Ultimate...not an upgrade...can I uninstall all other previous versions and plug ins? Cons on that? I'm running out of space on my SSD's? I'm literate for editing, just not software...thanks all. Unfortunately, your question is not covered by any of the above. This site is managed by volunteers and we do not have the means for direct assistance and troubleshooting for issues not directly or indirectly related to our publications. In this case, we recommend that you go directly on the Pinnacle forum. You will receive a prompt response to your question, either from forum members or ourselves if we have the time available.